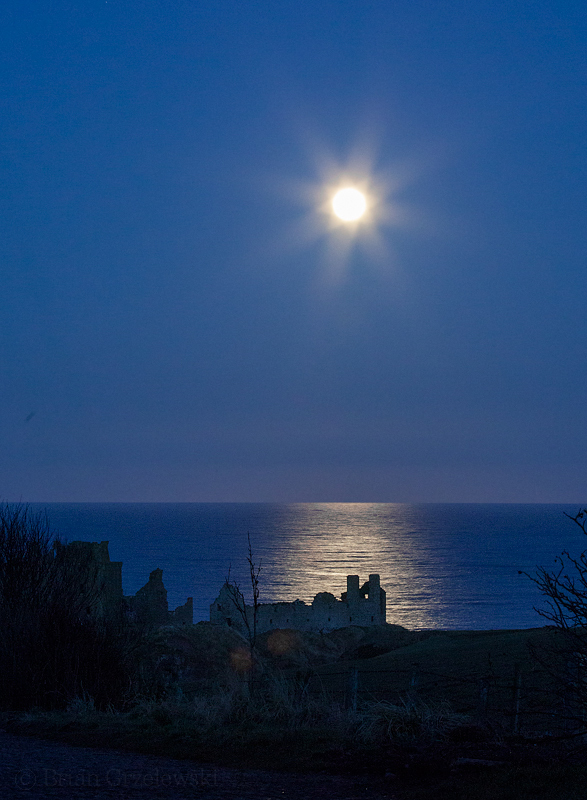 After taking pictures of the moon rising just above the ruins of Dunnottar Castle, I took some steps back and caught the moon reflecting off the North Sea. It’s a shame more people don’t pay attention to the moons patterns and watch the full moon rise. It really was a beautiful night. I have a new place to sell my photographic prints now. Moonrise Over Dunnottar and many of my art is at brian.artistwebsites.com. Check it out!